Do video games like Pong and Space Invaders belong in Museum of Modern Art? Or does putting a game console from 1972 on a pedestal constitute an Emperor's New Video Game-style overreach? A debate is raging, and MoMA is at the center of it. On Friday, the museum's architecture and design curator, Paola Antonelli, announced that MoMA had acquired six new games, including Pong (1972) Space Invaders (1978) Asteroids (1979) Tempest (1981) Yar’s Revenge (1982), and Minecraft (2011). 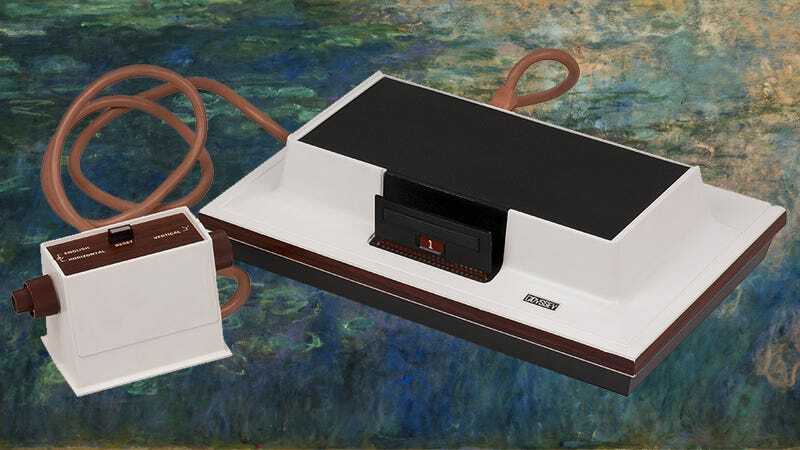 They museum also obtained a Magnavox Odyssey, the first commercial video game console, which was designed in 1972 by Ralph Baer, "father of the video game." Regardless of how you feel about video games (or about, say, Rothko), these are undoubtably pieces of creative history. So what's the problem? According to The Guardian's Jonathan Jones, games—video games, chess, Apples 2 Apples, whatever—are not art. "A work of art is one person's reaction to life," Jones wrote in reaction to Antonelli's inclusion of several video games in MoMA's Applied Design show last year. "This is the essential difference between games and art, and it precedes the digital age." The games are selected as outstanding examples of interaction design—a field that MoMA has already explored and collected extensively, and one of the most important and oft-discussed expressions of contemporary design creativity… the programming language takes the place of the wood or plastics, and the quality of the interaction translates in the digital world what the synthesis of form and function represent in the physical one. So it seems MoMA isn't as interested in the content of early video games—they're interested in how these games paved the way for a whole universe of human/screen interactions, many of which have come to define the contemporary world (think, for example, of your iPhone).